For expert plumbing, HVAC and electrical solutions in Tuscaloosa, Alabama, enjoy the great service you'll receive when you choose the professionals at Banks Quarles. 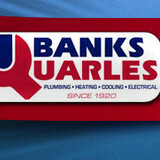 When you have a plumbing, HVAC or electrical emergency, call Banks Quarles. 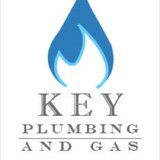 Our experienced and professional plumbers and technicians are on standby 24/7 in various locations across Tuscaloosa. They'll get to you fast in a fully stocked service vehicle with the parts to repair your plumbing, HVAC or electrical emergency quickly. When you need a plumber that you can trust to do the job quickly and efficiently without charging an arm and a leg, call Plumb Right of Birmingham, AL. At Plumb Right they specialize in plumbing services such as clogs and stops, water heater services, remodeling services, and more. So when you want an experienced plumber that you know is dependable, call Plumb Right in Birmingham, AL. We are a local remodeling company that specializes in all remodeling! We are licensed bonded and insured. No job is to big or small and we have great prices. 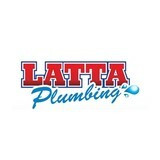 We specialize in plumbing, gas, electrical, HVAC, carpentry, sheetrock, and paint. A plumbing contractor handles the installation and repair of water, sewage and natural gas pipes throughout a home, as well as interior and exterior faucets and fixtures. Plumbing contractors are also trained to work with water mains, septic tanks, laundry appliances, water heaters, sump pumps and other plumbing and pipe systems. Because plumbing repair work is done largely behind walls and beneath floors, some plumbing companies can also patch or replace tile, stonework and other surfaces. Although some Midfield plumbers are generalists, others specialize in specific areas; a 24 hour emergency plumber will handle urgent residential repairs, while others may be more skilled in remodeling, natural gas lines, overhead sprinkler systems and more. Find a local Midfield plumber on Houzz. Narrow your search in the Professionals section of the website to plumbing contractors in Midfield, AL. You may also look through photos of Midfield, AL projects to find a licensed plumber who has worked on a project similar to yours. Here are some related professionals and vendors to complement the work of plumbers: General Contractors, Septic Tanks & Systems, Kitchen & Bath Designers, Kitchen & Bath Remodelers.